Come join us for the costume party of the year! (Ages 21+ over) October 27th we will have a spooktacular dance floor, a private DJ playing Halloween hits, prizes for best costumes, fire pits to lounge and enjoy the moonlit nights sky, hors d’oeuvres and of course WINE! 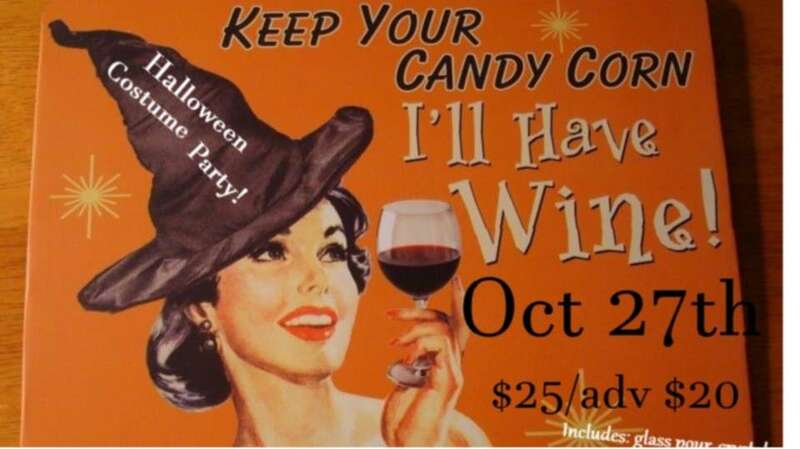 Maragas Winery’s Halloween Costume Party! Saturday Oct. 27, beginning at 7:00 pm. * A commemorative crystal wine glass, with a glass pour of one of three of our medal winning wines. * Grand Prizes for best costumes! Club members will be enjoying their discounts for bottled wine purchases! Tickets in advance by calling (541-546-5464) or at the door up to the day of the event. available at the door. Club Members advance purchase tickets are $17 (two available per membership at this price). Come ready to dance and enjoy!